Every day, roughly 100 billion new cells are created inside the human body. 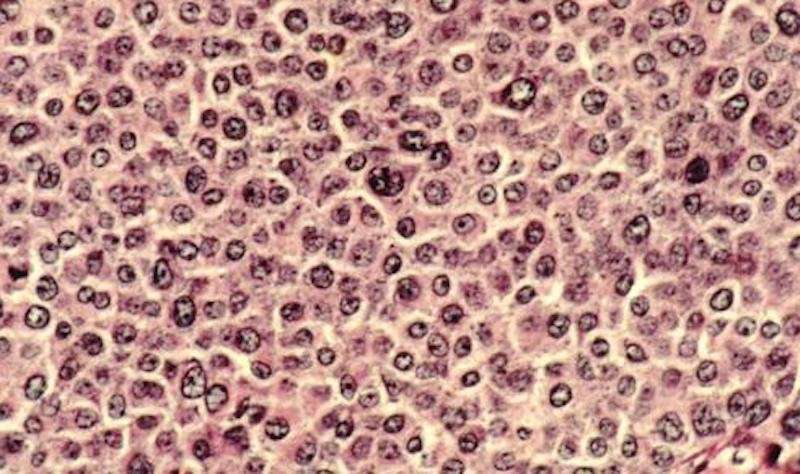 These cells join trillions of older cells to form the tissues and organs we rely on to stay alive. Sometimes when a cell is created, a mutation occurs within its DNA, transforming the cell into something defective and potentially dangerous to the body's internal environment. Usually, a cell will recognize its own defects and quickly terminate itself. But sometimes, instead of eliminating itself, the mutated cell replicates, forming a tumor that could break apart, metastasize (i.e. migrate), and invade other parts of the body—oftentimes through the bloodstream. Fortunately, Carnegie Mellon University's Professor of Mechanical Engineering Philip LeDuc, in collaboration with Ph.D. student James Li Wan and Dr. Carola Neumann, a breast cancer researcher from the University of Pittsburgh, developed a patient-oriented model scientists can use to better understand—and eventually stop—cancer cell migration. According to LeDuc, this project began because of the growing interest researchers have shown in the relationship between physical science and cancer. Since tumors are actually physical masses, both biochemical and physical means can affect cancer cells and tumors. After considering the connection between these two topics, LeDuc, Neumann, and Wan turned their attention to metastasis and cancer cell analysis. Through their collaboration, they were able to develop a more accurate and relevant way to study cancer cells. Although cell analysis traditionally occurs in a plastic petri dish, the research team created a 3-D model that more accurately reflects the physiological conditions of an organism. With this model, scientists can uncover and analyze the complexities of cancer cells in an environment that more closely mimics the human body. "Biology has been studied by putting cells inside of petri dishes for decades," says LeDuc. "But the question is, can you make systems that are more physiologically relevant? We're using microfluidic and microfabrication approaches to create three dimensional systems because cells exist in three dimensional tissues—they don't naturally reside in a 2-D petri dish." Typically, microfluidic systems—systems that transfer liquids at the microscopic level—are made of plastic, but since LeDuc, Neumann, and Wan were searching for a more physiologically relevant system, they created their microfluidic system using collagen, the most predominant protein in the human body. "As Phil said, we traditionally grow cells in plastic and work with them in petri dishes," says Neumann, an associate professor of pharmacology and chemical biology at the University of Pittsburgh. "But nowhere in your body do you have plastic. Having a 3-D system that mimics physiological conditions is a much better way to get faster and more relevant results." Each microfluidic device created by the team contains two key components: a set of parallel channels that mimic traditional blood vessels and a concentration of cancer cells that are embedded in the collagen. Once a device is constructed, the channels are injected with a chemical stimulant that diffuses into the surrounding collagen. As molecules from the stimulant move further away from the channels, a biomolecular gradient is created. This gradient prompts the embedded cancer cells to move—often back toward the simulated blood vessel channels. In a patient, if cancer cells enter the bloodstream, they metastasize and can form secondary cancer tumors. According to LeDuc and Neumann, most patients with solid tumors usually die from metastasis—not from the primary tumor itself—which is why scientists must figure out how to stop metastasis from occurring in the first place. Metastasizing cancer cells have acquired the ability to move from the primary tumor into the blood or lymph system—a process that requires cancer cells to migrate and remodel the tumor tissue to invade other parts of the body. So, in order to stop metastasis, scientists need to understand which factors support cancer cell mobility and tissue remodeling. This is why the 3-D system developed by LeDuc, Neumann, and Wan is so important. "Cancer is an extremely heterogeneous disease, which means that not only do cancer cells differ from patient to patient, they vary even within one tumor," says Neumann. "The same is true for metastases. Depending on their location in the body, each additional secondary tumor is different as well." To determine the best treatment for each patient, LeDuc, Neumann, and Wan believe that researchers will eventually be able to use their system to examine tumors from individual cancer patients. This process would ultimately help make cancer treatment more personalized and effective. "Our model could potentially serve as a patient-specific model," says Wan, who conducted the lab experiments and analyzed the results for this study. "And that's very important because cancer is different in each patient, which makes it hard to cure." Ideally, the 3-D system developed by LeDuc, Neumann, and Wan will give researchers and scientists the tools they need to stop cancer cells from metastasizing in every patient. "At the end of the day, the tumor that's sitting there and doing nothing—that's okay," says LeDuc. "But as soon as it goes metastatic, everything breaks loose. We hope that our system will help stop metastasis and improve patient outcome in the long run." The team's research paper, titled "Mimicking Embedded Vasculature Structure for 3-D Cancer on a Chip Approaches through Micromilling," was published in Scientific Reports. In addition to Philip LeDuc, Carola Neumann, and James Li Wan, mechanical engineering Ph.D. student Jonelle Yu, mechanical engineering Professor Burak Ozdoganlar (Carnegie Mellon University), and postdoctoral fellow Dr. John Skoko (University of Pittsburgh) contributed to this study.